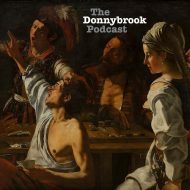 Now known as the Donnybrook Podcast, we argue about how to handle our heroes when they fall. If a Christian leader makes a mistake, can we still follow their work? Is this healthy? We also talk about the ethic and value of life. When is it okay to let go?